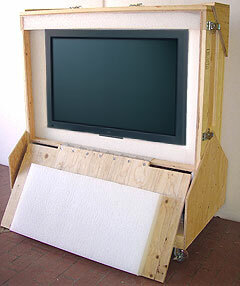 Caseworks Crating and Shipping offers premium crating solutions for safely shipping your LCD and Plasma Flat Panel TVs, Monitors, HDTVs and Flat Panel Televisions. We will custom build a crate specifically for your flat-panel Plasma or LCD TV or Monitor to provide safe, secure shipping and storage. 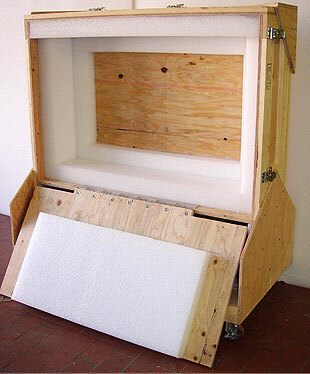 Our Flat Panel TV crates are constructed using heavy-duty plywood, reinforced with wood corners and high-density foam. We add optional hardware such as heavy duty casters, handles, and locking mechanisms. The Plasma and LCD flat-panel TV crates we make can be configured with optional compartments to safely hold your Plasma and LCD TV mounts, cables and accessories. 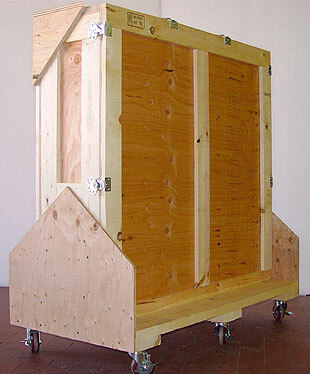 Our Plasma and LCD TV crates are mounted in an upright position to avoid stacking by other crates during shipment. 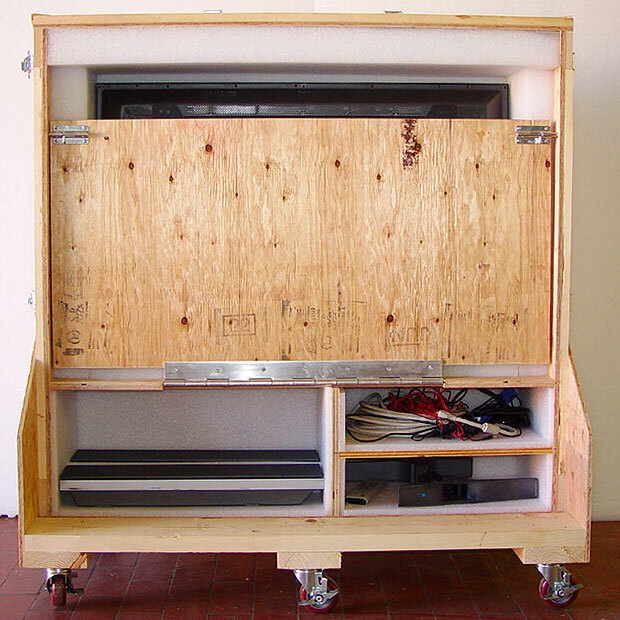 Once your flat panel TV crate is finished, Caseworks Crating and Shipping can also ship your crate by the most economical means safely to it's destination.